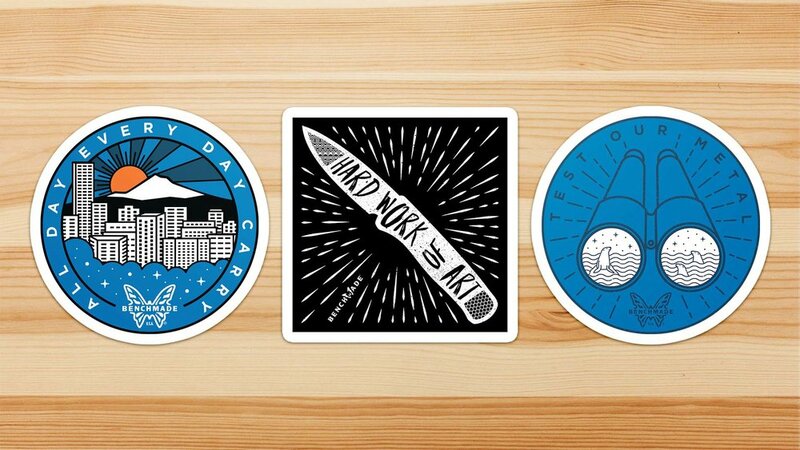 Design 3 unique sticker designs that connect with the 2019 brand campaign in a casual and fun way. Benchmade Knife Co. was launching their 2019 brand campaign in early January. The campaign had highly produced creative utilizing materials from their factory, catchy headlines and a hero knife for each category. They asked me to create a unique sticker for 3 of their knives to use as giveaways throughout the year.